The main dining room of this Sephardic Bar Mitzvah was designed in house by Diana Gould Ltd. 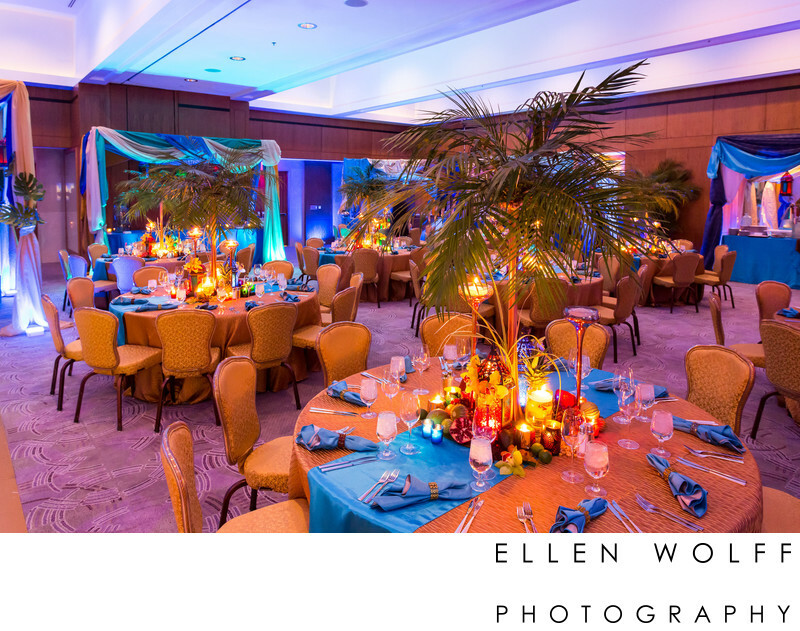 I love how the food stations are draped with vivid blues and gold colors, it adds so much depth to this room shot. Keywords: Bar Mitzvah (27), decor (3), Ritz-Carlton (3).